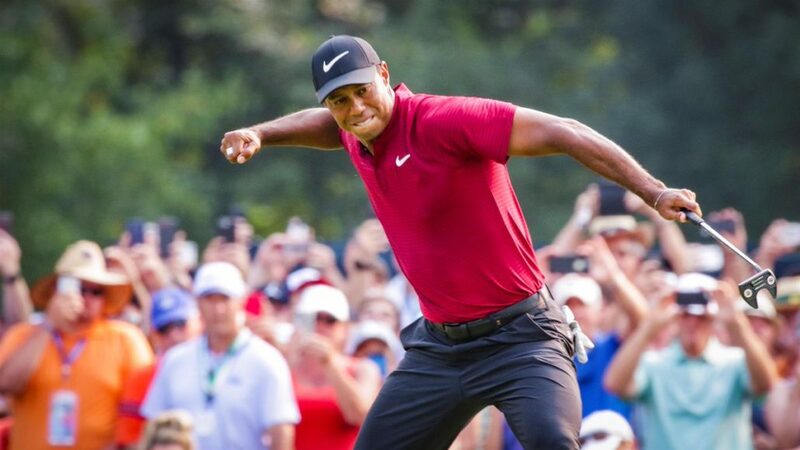 Tiger Woods admitted he never imagined being in contention for consecutive Majors after threatening to pull off one of the greatest sporting comebacks of all time at the PGA Championship. The American has won 14 Majors but the last of those came in 2008 when he played with a knee injury at the US Open, an injury that would keep him out for the rest of that season. In October 2010 he saw his 281-week run at number one in the world rankings come to an end, slipping as low as 58th in November the following year, before five worldwide wins in 2013 helped him reclaim top spot. His last victory came at the 2013 WGC-Bridgestone Invitational, but since then he has been plagued by back problems and when he made his full-time return to competitive golf in November, after dropping out of the top 1000, he openly admitted he did not know how his game would be. A remarkable return to form and fitness has since seen him hold a one-shot lead with eight holes to play in the Open Championship at Carnoustie, and on Sunday he finished just two behind Brooks Koepka after a thrilling final round of 64 at Bellerive Country Club. ‘I was in contention in the last two Majors and would never have foreseen that a year ago and I’m just so thankful to be here,’ he said. ‘I didn’t know what my schedule would be. I didn’t know how many tournaments I would play this year, or if I would even play. So each tournament brought about its own challenges. Woods began the final round four shots behind Koepka and closed to within a shot three times, but Koepka crucially birdied the 15th and 16th before a wayward drive on the par-five 17th cost him the chance of a birdie. ‘I was pretty ticked at the Open,’ Woods added. ‘I had the lead there. This one I never quite got to the lead. I was always trailing. I had to keep making birdies. I had to go get it and I tried.